The organisation's purpose is to empower women, facilitate reconciliation in conflict and post-conflict areas, and offer spiritual resources to help address critical global problems. Since its founding, the GPIW has organised roundtables in Israel/Palestine, Iraq, Sudan, Afghanistan, Cambodia and Kashmir. Tokyo (AsiaNews) - The 31st Niwano Peace Prize has been awarded to Dena Merriam for her leadership of the Global Peace Initiative for Women. With this award, the International Selection Committee and the Niwano Peace Foundation recognise Dena Merriam's determined and creative work for peace and her deep commitment to "to making the spiritual dimensions of work for peace an integral part of a rich and diverse set of activities that address many of the most critical issues facing today's world." The Committee, which consulted about 600 people and organisations from 125 countries and the world's main religions, describes Ms Merriam as a leader who can bring together the voices and energy of women inspired by their faith to form the nucleus of an unprecedented global movement. Ms Merriam is also recognised for her tireless work to ensure that the insights of Eastern and Western religions come together in a balanced way. The Niwano Peace Prize honours Dena Merriam's service to humankind in the search for wisdom and for a more just and sustainable world. Dena Merriam, a US citizen, began working with the interfaith movement in the late 1990s as the vice chair of the Millennium World Peace Summit of Religious and Spiritual Leaders held at the United Nations. She later organised a meeting of women religious and spiritual leaders at the Palais des Nations in Geneva. From that meeting came the Global Peace Initiative of Women (GPIW) in 2002, a body chaired by a group of interfaith women spiritual leaders. The organisation's purpose is to empower women and facilitate reconciliation in conflict and post-conflict areas and offer spiritual resources to help address critical global problems. Since its founding, the GPIW has organised discussions in Israel/Palestine, Iraq, Sudan, Afghanistan, Cambodia and Kashmir. For several years after its founding, the GPIW has also developed, in collaboration with the United Nations, a leadership programme for young community leaders. GPIW's work in the area of peacebuilding has expanded to include fostering new, more inclusive and sustainable models of development, mobilising faith communities to address issues like the climate crisis, and to change attitudes towards the environment, renewing the sense of awe, respect and reverence for nature. 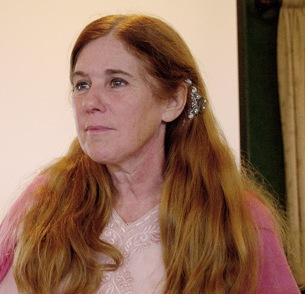 Convinced that women and Eastern religious traditions are under-represented in international interfaith gatherings, Ms Merriam also dedicated herself to the establishment of a platform for religious and spiritual women leaders in order to engage Hindu and Buddhist leaders more actively on the world stage. For more than 35 years, Dena Merriam has been a student of Hindu master Paramahansa Yogananda and practices Kriya Yoga meditation. For years, she studied the great texts of the Vedic tradition. She has served on the board of the Harvard University Center for the Study of World Religions, the International Center for Religion and Diplomacy, the Interfaith Center of New York and Seven Pillars. She also sits on the board of the All India Movement (AIM) for Seva, the Manitou Foundation and is an adviser for the Dharma Drum Mountain Buddhist Association and the Gross National Happiness Center in Bhutan. The awards ceremony will be held in Tokyo on 16 May. Ms Merriam will receive a certificate, a medal and 20 million yen (about US$ 200,000).